Will the Coalition take notice of its ‘Victorian lesson’? The parties of the Coalition may be on the verge of being pulled apart by the increasing polarisation of Australian politics. In a gathering wave against the Coalition foreshadowed by exclusive polling in The Australian Financial Review on Friday, Labor under Premier Daniel Andrews on Saturday demolished Matthew Guy and the Coalition in the Victorian state election, turning its bare one-seat majority into a possible 17-seat margin and reducing the Coalition to a rump of fewer than 30. A backlash-sized swing against of almost 7 per cent, when you are not even the government, is a terrible rebuke to a political party. The Coalition is paying the price of dumping prime minister Malcolm Turnbull four months ago. The Liberals read too much into their failure to take the marginal working-class Brisbane fringe seat of Longman on Super Saturday, after fielding a poor candidate and then failing to manage expectations well enough before the poll. The result was a panicky coup to remove Malcolm Turnbull and his climate and energy policy, and then move sharply to the right to shore up battleground seats in Queensland that the party believed would cost the 2019 election. Victorians hand out a stinging lesson to the Coalition. But the weekend’s state election debacle in the more moderate and diverse Victorian electorate has left that strategy in ruins, with five or six Liberal federal seats in Victoria now put into play. The job of retaining federal government is now demonstrably even harder. Although the pragmatist Scott Morrison emerged as leader from the August coup, ousting Turnbull cost the party his inner-city, middle-class Sydney seat of Wentworth. Playing the conservative hobby horse of shifting Australia’s embassy in Israel to Jerusalem was hardly compensation for the lack of any climate policy. 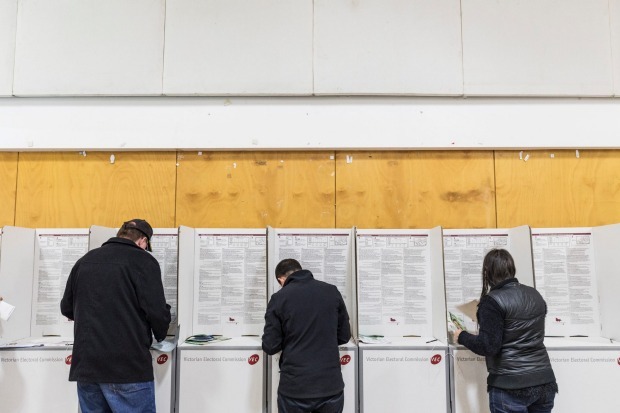 On Saturday the same wave hit Melbourne’s eastern suburbs, as more affluent voters made a watershed choice to steer to the left. Malcolm Turnbull was not popular in Melbourne but he was on the same page on climate issues. And the Liberal focus on crime – where it is a proxy for immigration and population issues pushed by the Coalition right – failed to play in even the new outer suburbs most vulnerable to disorder. Victoria has shown the Coalition the nonsense of ignoring the rest of Australia to hang on to an imagined component of their “base” that will somehow turn out, Trump-like, to be decisive. Victorian senator Jane Hume writes on these pages today that the Coalition had good policies, but its internal culture wars meant that policy in areas like education and energy just came out tainted with ideological squabbling. Worse still, the campaign let Labor steal the Liberals’ natural pro-growth, pro-economy message, and used it to entrench themselves for several terms. From this morning the federal Coalition needs to turn its record on the economy into the message it has yet to sell. It has created a million jobs in five years. It has begun reducing taxes. It is able to support immigration because it has controlled the borders. These are solid things to make a story out of – with next month’s mid-year statement and an early 2019 budget the clear opportunity to do it. Mr Morrison needs to use the same national growth momentum that has helped even a leftist, union-dominated state Labor win in Victoria. The Liberal Party was once a broad church. But it is now dissolving into a group of warring ideological sects and ambition-driven factions that deter the voters that are the point of the party’s existence. On Saturday, the Liberals allowed a strong economy and its own divisions to hand Labor a massive win by default. If the party does not want to repeat the process on an even more spectacular scale next May, it knows what it has to do.